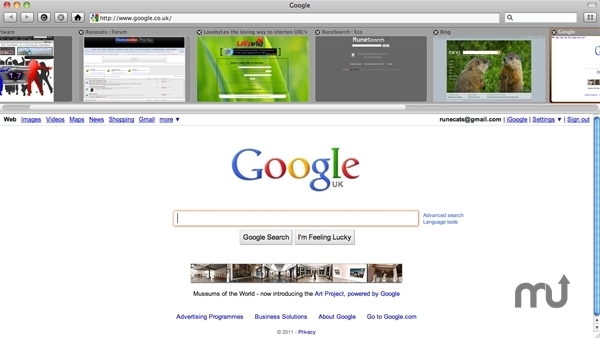 Web browser with tab viewing choices. Is there a better alternative to Roccat? Is Roccat really the best app in Browsers category? Will Roccat work good on macOS 10.13.4? Roccat is a blazing fast Web browser with a nice and easy to use interface. What is nice about Roccat is that it offers you two tab viewing options: one is the default one (that you can find in any browser) and the other is the, so-called, VisiTabs. Both let you reorder tabs around and quicky switch between them. The default tabs gives you more viewing space to see the website that you are currently on. VisiTabs however allows you to see a miniture version of the website on each tabs so finding the website is easier than ever before. Roccat needs a rating. Be the first to rate this app and get the discussion started! Roccat also lets you assign words or characters to forward to a webpage, these are called "Navigate launchers". For example you can set the letter "g" to go to google.com, so when you type "g" into the address bar it will load google.com.